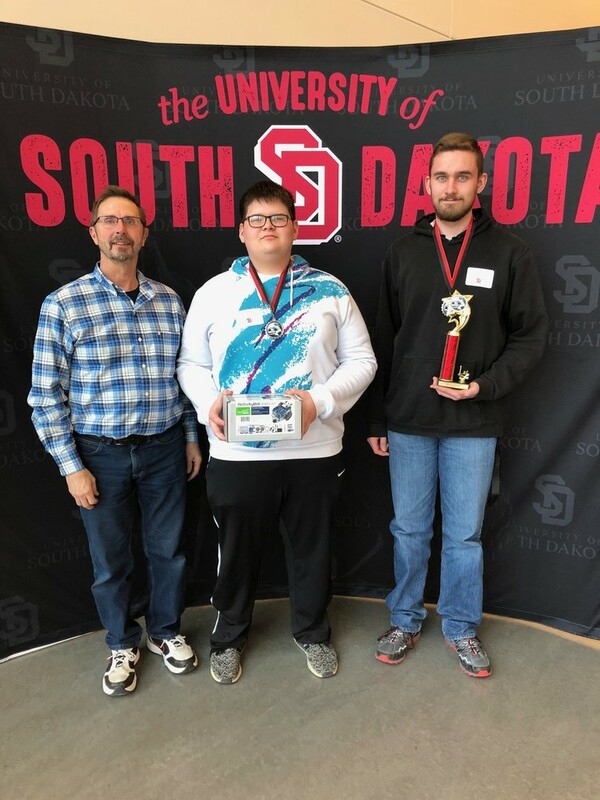 Congrats to seniors Brandon Lodge and Curtis Eickhoff who claimed first place at the University of South Dakota Robotics Programming Competition held Wednesday, April 10. Their sponsor Mr. Mike Couch reported that their robot was the only one out of thirteen teams able to complete the entire maze in the competition. Way to go guys!